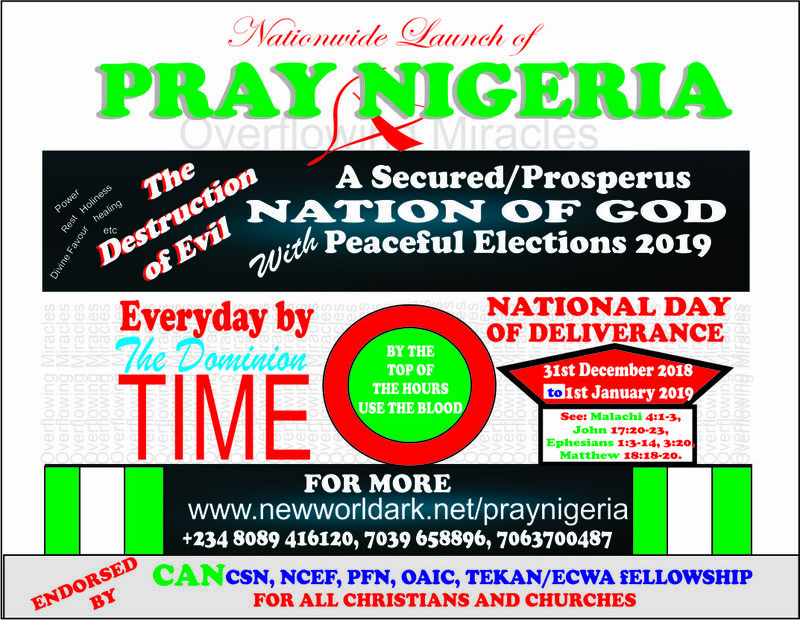 Let us offer selfless service in the Time Redemption Prayer daily and collectively on the set day of National Deliverance and have a peaceful election to vote good people as leaders for all round divine interventions of God Almighty. · You are specially called to join the course of enforcing the rule of God in Nigeria and where you are by the daily Time Redemption Prayers. · It should be clear to everyone that the solution Nigeria needs is a divine. 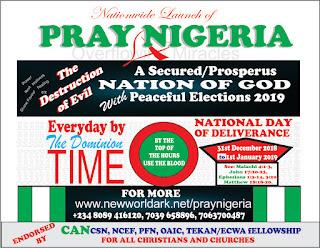 · To this effect, a National Day of Deliverance has been set by which all Christians should gather in their respective locations or churches to pray using the holy principles of the Time Redemption. · We are the watchers-in-service-elect (WISE) to adjudicate in the stead of God and it is a great privilege of grace. · Those we shall vote for should be a user or partaker of the grace in the Time Redemption Prayers. This is the grace of God and you should know that the grace of God is not abstract but reveals to a man the instructions he should follow to receive divine interventions or to make things right. This is the grace of God to you.